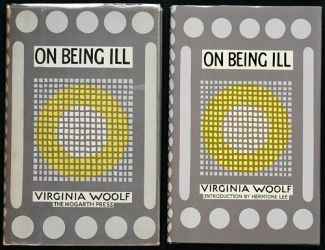 Virginia Woolf wrote On Being Ill after publishing The Common Reader and Mrs. Dalloway in 1925. She had also begun a love affair with Vita Sackville-West, and was writing her fifth novel, To the Lighthouse. 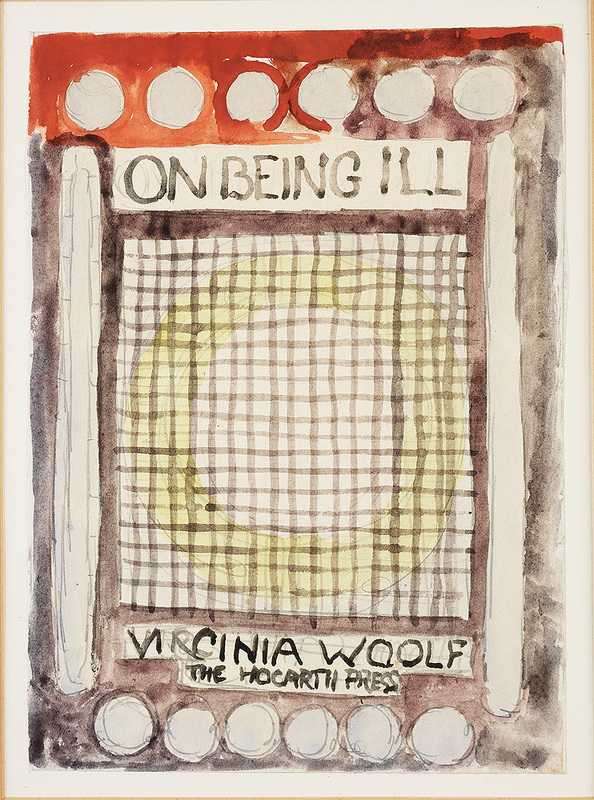 Woolf was exhausted and ill for five months, after which she sent T. S. Eliot her essay on illness for his first issue of the New Criterion. It was published in January 1926. Leonard Woolf particularly admired the essay. Together he and Virginia set the type and printed 250 copies of it for the Hogarth Press in 1930. The dust jacket is one of Vanessa Bell’s most abstract designs. Vanessa Bell. 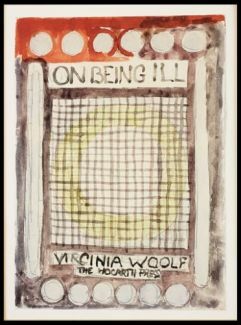 Design for the dust jacket of On Being Ill: graphite and watercolor, [ca. 1930]. Virginia Woolf. 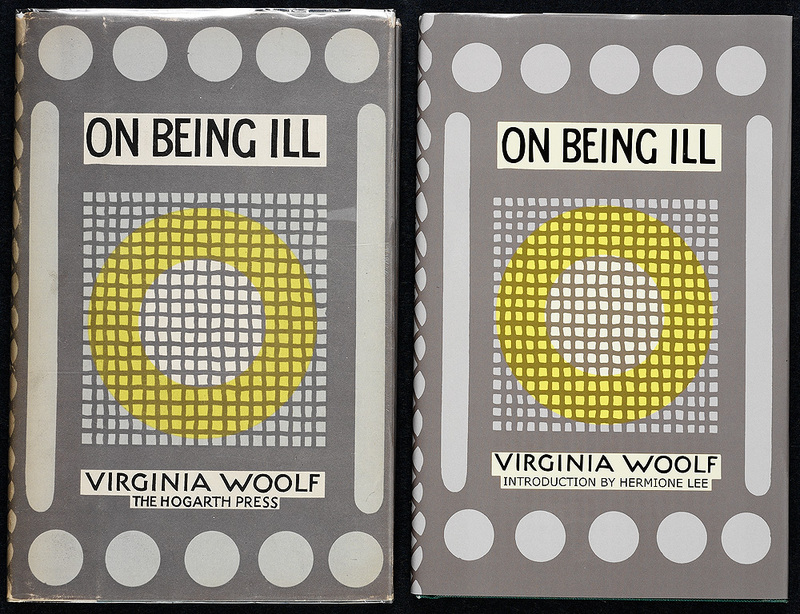 On Being Ill. London: Hogarth Press, 1930. Number 180 of 250 signed copies. From the library of Crosby Gaige. Paris Press trade edition on right. Virginia Woolf. 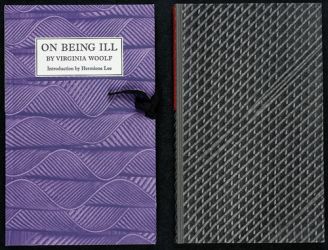 On Being Ill. Introduction by Hermione Lee. Ashfield, Massachusetts: Paris Press, 2002. Trade edition presented by Stephanie Cooper Schoen AC ’91. presented by Christine M. Erickson '65. This new Paris Press edition of the essay features some contemporary western Massachusetts book artists: letterpress printer Michael Russem, bookbinder Claudia Cohen, and publisher Jan Freeman. Paris Press is a one-woman publishing house located in Ashfield, Massachusetts; it is dedicated to printing neglected work by ground-breaking women writers.